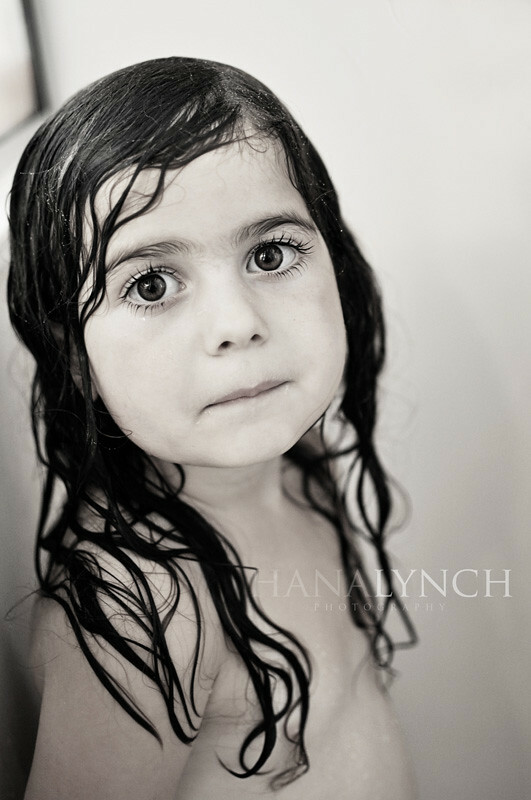 During bath time yesterday Halle looked up at me and her eyes just sparkled even under the horrible bathroom lighting. I had to snap a photo to capture that sweet innocence. I could get lost in her big brown puppy-dog eyes. She's growing up so quickly and I know one day the day will come when she will no longer allow me to come into the room to help wash her. As much as I sometimes wish she could do it herself I know I will miss these sweet days when bath time was a family event. I'm trying to appreciate the little mundane everyday things like this! Oh Hana... this is pure innocence. I adore this shot. Her eyes just draw me in. Gorgeous. She's a sweet girl. Those big eyes--how beautiful! Yes, cherish these moments, even the messy rooms, the little tantrums, the sticky faces. Time goes so quickly with children--something I'm realizing all to well. Those are the best pictures, the ones in the tub. I need to remember that! Oh. I almost missed this one. I just love her wet eyelashes. Amazing.